Disclosure: Discount School Supply sent us these items to review. All opinions are my own. 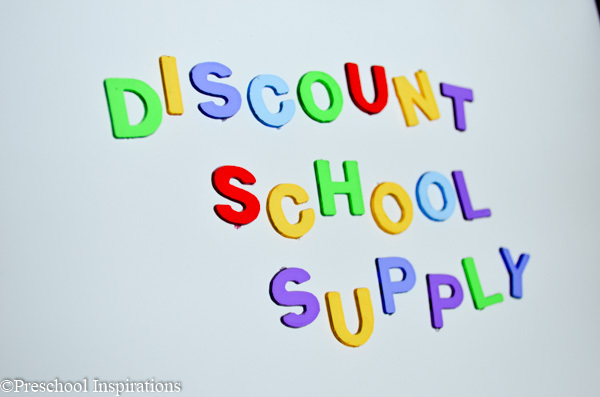 While working at a preschool center and owning my own preschool program in my home, Discount has been one of my preferred sources for purchasing educational supplies because of their affordable prices and innovative products. 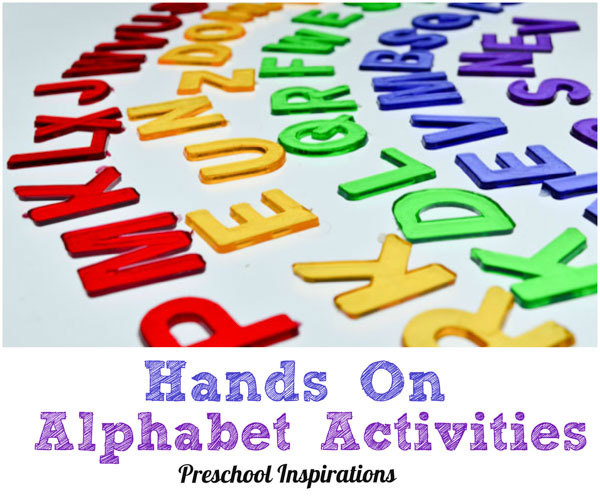 When Discount School Supply contacted me about a review, I knew right away that I wanted to try out some educational resources for one of my most popular preschool activities: learning the alphabet! Last year my writing center was hopping. 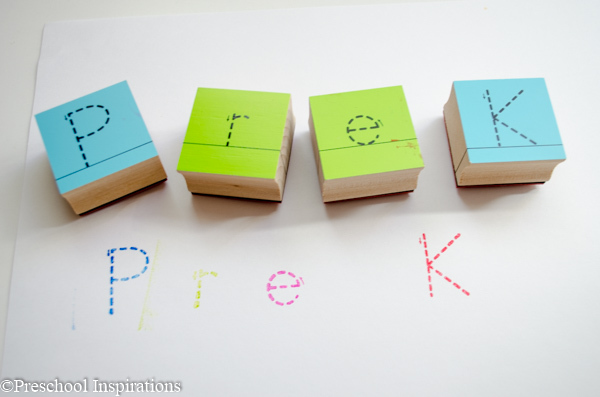 We love writing, tracing, stamping, and anything that involves the ABCs. The moment we took these Dot-To-Dot Tracing Stampers out of the box, my six year old, Sugar and Spice, squealed with delight. I knew we would have to try them first. 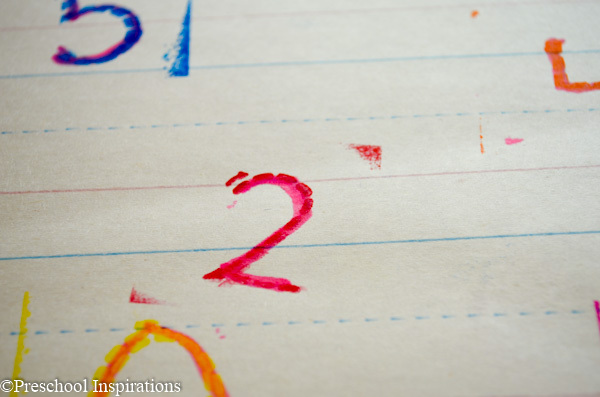 And I photographed the classroom stamp pad right away — you and I know that when you hand a stamp pad to a preschooler (or six year old), it only stays perfect for about 54 seconds. 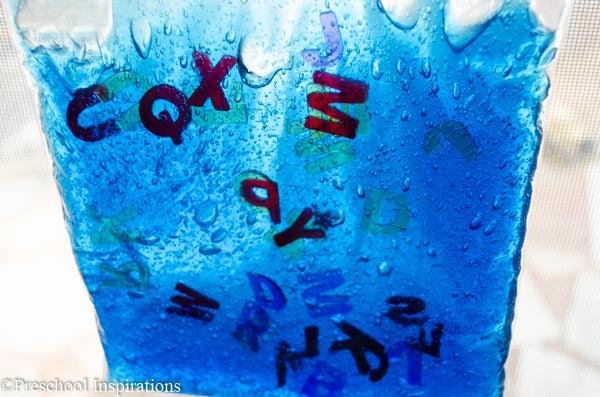 My four year old son, Lil’ Red loved identifying the letters as he stamped them. And Sugar and Spice proudly announced “These really work. They help me write better.” They were so fun that I joined in too! I would only recommend these for children you can trust to keep these out of their mouth or under very close supervision. Due to the size, they are a choking hazard for younger children. Discount School Supply was also generous enough to send my all-time favorite product — liquid watercolors! I mixed one of the colors with some hair gel and added the jewels, all in a plastic bag. We put it up to the window and “oooohed” and “ahhhhed.” I do highly recommend using packing tape all around the edges of the bag to prevent it from leaking or breaking along the edges. If you are a lover of liquid watercolors like I am, this is the liquid watercolor jackpot! There’s even gold and silver! If you need to stay frugal, I recommend getting red (or magenta), blue, and yellow. You can combine them easily to make other colors. Lastly, we enjoyed playing with the trace and write letters . 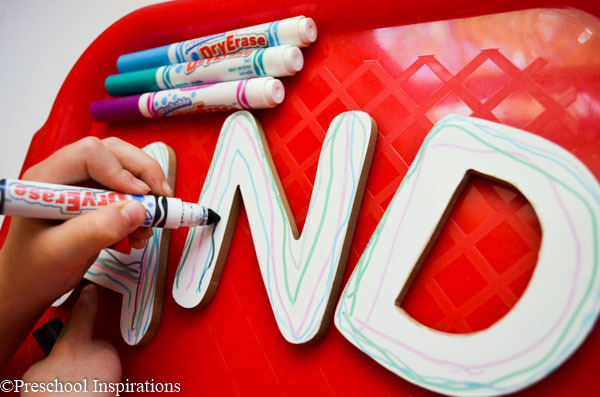 The write on letters are essentially a whiteboard in the shape of a letter — genius! Sugar and Spice loved tracing them with different colored Crayola washable dry-erase markers . 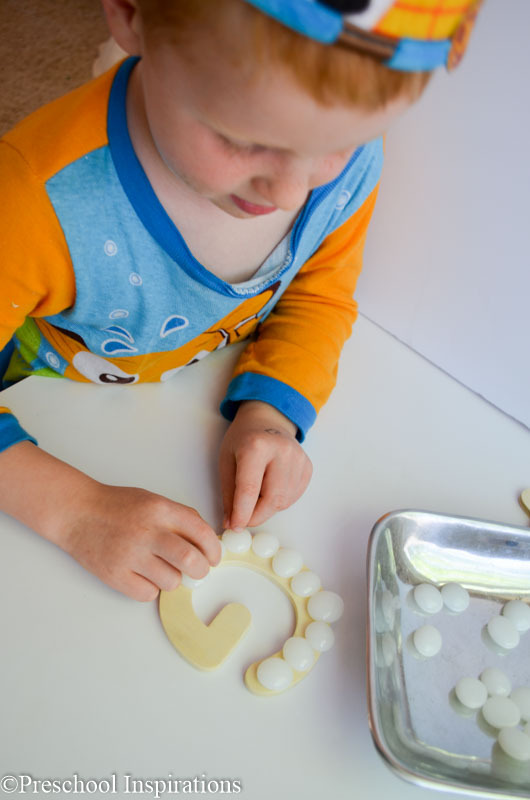 Lil’ Red enjoyed using glass beads with the letters. 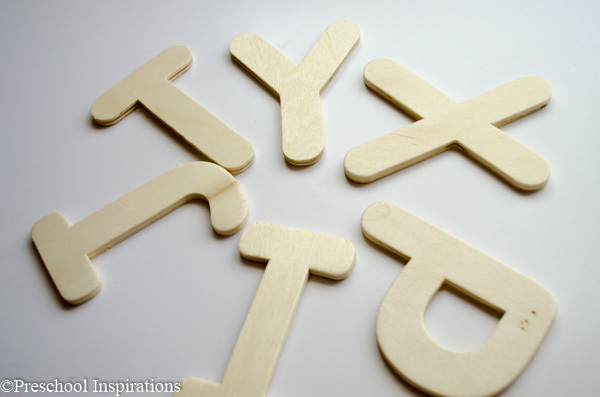 Some of the letters ended up having rough edges, but we sanded them down with a scrap piece of sandpaper. It fixed them right up, and we got to playing. I would love to see these made in lower case letters too. 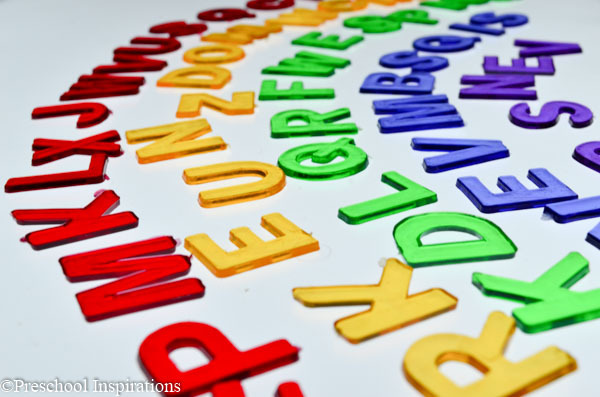 We have thoroughly enjoyed these new (to us) alphabet activities sent to us from Discount School Supply. If you have any of these, I would love to hear what activities you do with them too. Thank you Discount School Supply! 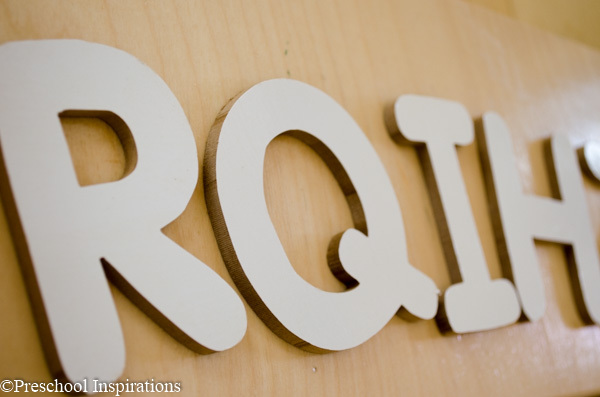 I am going to order those jewel letters for our light table. What a fun way to practice! Thanks for sharing these ideas. They are a blast, Jamie! 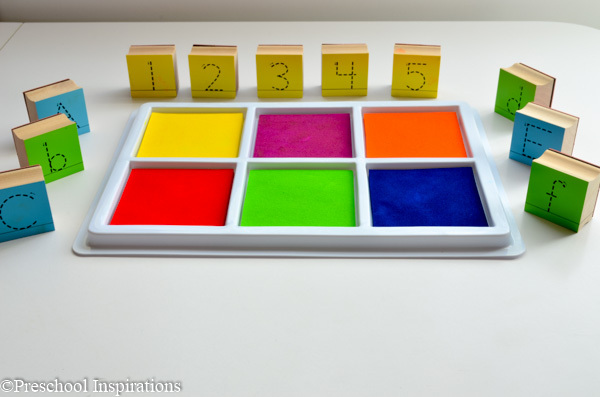 Your class is amazing with the light table, so I can’t wait to see the creativity that they come up with :).